I have someone in my house who often demands to eat 'homemade-restaurant style' dinner in weekend ???. That's why last Sunday I had to make 'butter chicken' along with 'butter naan'. 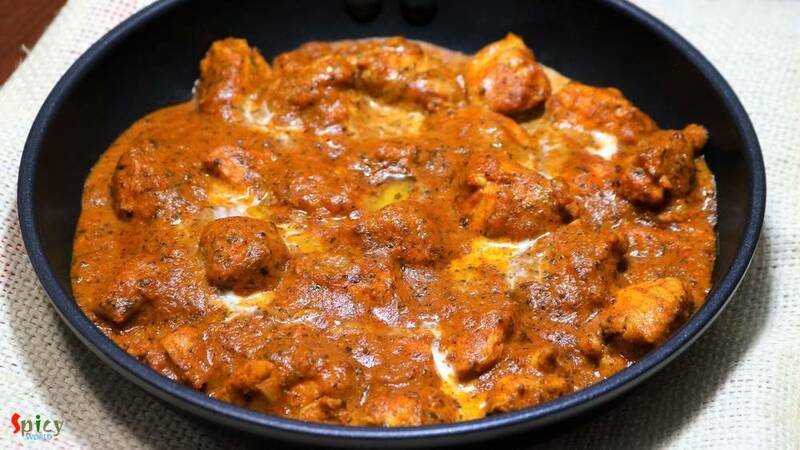 Nowadays 'butter chicken' is famous in all over the world. In Indian restaurants this is the mostly ordered dish. It has a tomato based, rich, velvety gravy and grilled, juicy chicken pieces. The combination was a total hit but you can also serve this with 'jeera rice', 'pulaao' or 'fried rice'. 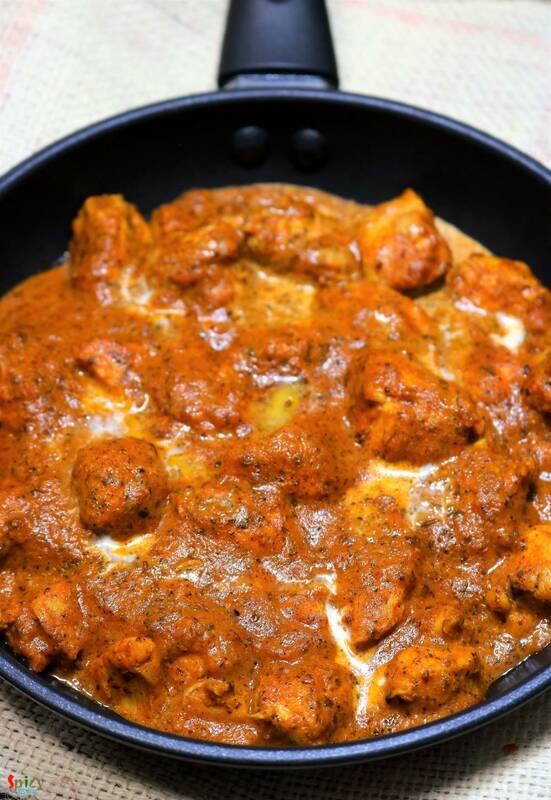 You can also make this dish with tandoori chicken, I have already post that recipe. Try this in your kitchen and serve a 'restaurant style dinner' to your family. 500 gms of chicken (boneless / with bone). 2 Teaspoons of red chili powder. 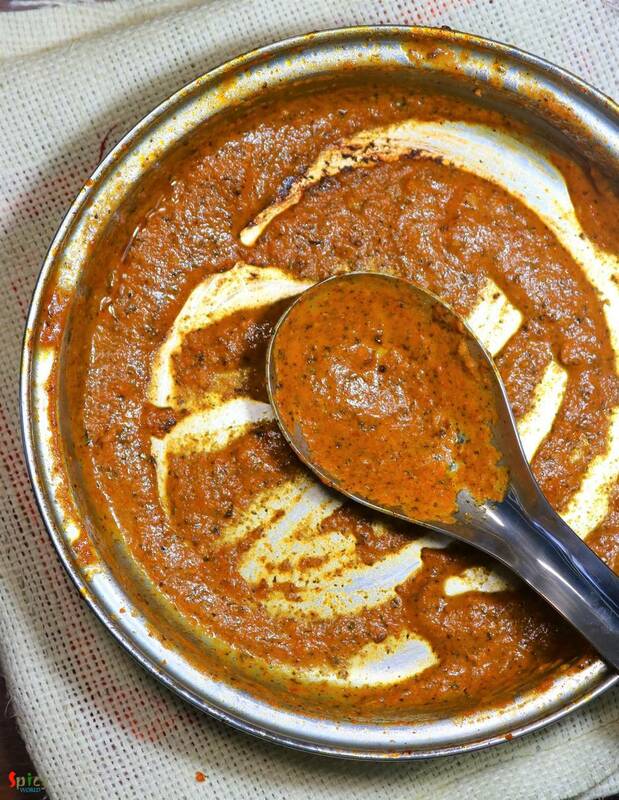 2 Tablespoons of tandoori masala. 2 Teaspoons of all purpose flour (moida). Puree of 2 big, ripe tomatoes. 1 Teaspoon of dry fenugreek leave powder / kasuri methi. Marinate the washed chicken pieces with yogurt, salt and all of the powder under 'for chicken'. Mix very well and keep it in the refrigerator for atleast 2 hours. Heat cooking oil along with butter. Add the marinated chicken and fry for 10 - 15 minutes or until chicken gets cooked. Remove them from pan and keep aside. In the same pan heat more oil and butter. Add the flour and mix well for a minute. Then add the onion paste and cook for 5 minutes. Add ginger garlic paste and cook for 4 minutes. Add tomato puree and cook for 10 minutes. For seasoning add salt and sugar as per your taste. Mix well. Add hot water and cook for 20 minutes. Then add cooked chicken in the gravy and cook for 10 minutes. Add garam masala powder, kasuri methi. Mix few spoons of gravy with the cream then add the entire cream in the gravy. In that way cream wont get curdled. Cook for 2 minutes. Lastly add 1 Tablespoon of butter and turn off the heat. 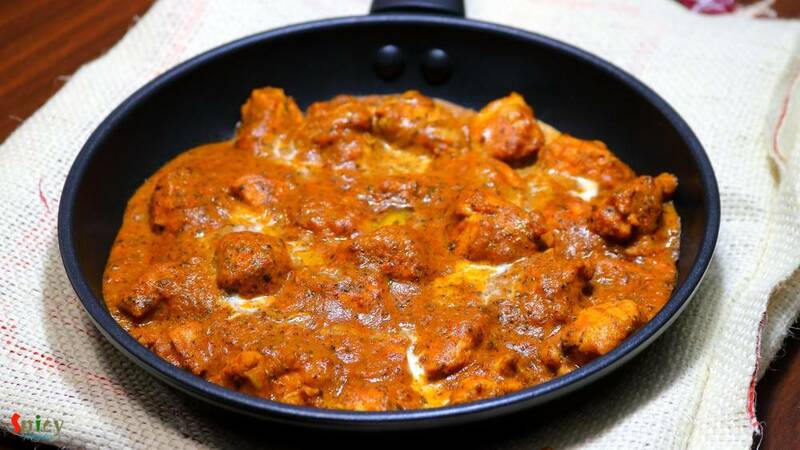 Your butter chicken is ready ..